THIS WILL BE A LONG BLOG. YOU ARE URGED TO READ IT ALL. Mr. Otis McDonald, a black man in Chicago, currently has a suit against the city being heard in the Supreme Court over his right to possess a handgun. To my way of thinking, Mr. McDonald is a modern day hero defending the liberties granted by our founding fathers. When we thank our Heavenly Father for our American independance, lets remember to tip our hat to that radical, Richard Henry Lee. He, like Mr. McDonald, was fiercely devoted to the welfare of his country and without his gall, spirit and pride in this great land, our history, most assuredly wouldn't be the same. 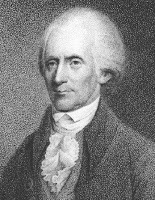 On June 7, 1776 Richard Henry Lee, as a Virginia delegate to the Continial Congress, read a resolution "that these United States are, and of right ought to be, free and independent states, etc". After a few days of debate, on June 11, 1776, the congress appointed five delegates to consider the "Lee Resolution". Late on July 4, 1776 the "Committee of Five", which included John Adams, Benjamin Franklin, Robert Livingstone, Roger Sherman and Thomas Jefferson, after minor alterations, presented the "Lee Resolution" as the American Declaration of Independance. If anyone understood our Founding Father's intentions regarding possession of guns, surely it would be Richard Henry Lee. This is precisely what Mr. Lee had to say: "To preserve liberty, it is essential that the whole body of the people always possess arms and be taught alike, especially when young, how to use them". My friend, and 1948 high school classmate, Maude Blankinship, emailed to me this REFRESHER COURSE ON THE POSSESSION OF FIREARMS. Thanks, Maude. I've waited a month to use your information. 6. Gun control is not about guns, it is about control. 7. You only have the rights you are ready to fight for. 9. You never shoot to kill; you shoot to stay alive. 11. 64, 999,987 firearms owners killed no one yesterday. 12. The UNITED STATES CONSTITUTION (c) 1791. All rights Reserved! 13. The Second Amendment is in place in case the politicians ignor the others. 14. What part of 'Shall not be infringed" is not understood? In addition to comments from Richard Henry Lee, what did our other Founding Fathers have to say about possession of guns? "The strongest reason for the people to retain the right to keep and bear arms is, as a last resort, to protect themselves against tyranny in government". Thomas Jefferson. "The great object is that every man be armed. Everyone who is able might have a gun". Patrick Henry - who also said "give me liberty or give me death" just before he was hanged. "We are taking the law and bending it as far as we can to capture a whole new class of guns." Jose Cerada, White House gun control expert. "Our main agenda is to have all guns banned. We must use whatever means possible. It doesn't matter if you have to distort the fact or even lie. Our task of creating a SOCIALIST America can only succeed when those who would resist us have been totally disarmed." Sara Brady, chairperson, Handgun Control. AFTER READING WHAT THE ENEMIES OF LIBERTY HAD TO SAY IT SOUNDS LIKE OUR FOUNDING FATHERS HAD THINGS FIGURED OUT PRETTY WELL, HUH? If you recall the 60's & 70's when American cities were being burned and looted in the face of the local police, ask yourself if the 60's are all that much different than current times should the welfare state in the least be reduced. Then, ask yourself what you should expect should we return to a period like the 1930's, which I recall only too well. Ask yourself what would happen if China decided not to roll over the huge debt we owe. Could that happen? What do you think? I would not presume to tell you what you should do about owning a gun. Should you ask my advice, however, I'd urge you to consider our Founding Father's comments and to also get a "mean" guard dog. A good dog, such as a terrier or schnauzer, not just a friendly pet, is a real deterrent as well a capable friend should the need arise. Have you seen my giant schnauzer, Gunner? Let me assure you that I've made sure all the "bad" guys in the neighborhood have eyeballed this brute! He's for real and he sleeps on the floor at the foot of my bed every night. His main reason for living is to defend me and mine. He is ready, willing and able to fuss, fight or run a foot race. Old Gunner and I have a lot in common. Nuff Said? I'm thinking I need to get another dog. Wonder if any of Michael Vick's dogs haven't found a good home yet. Just kidding. But we do have an attack cat, so the hoodlums had better steer clear! 1. I understand the quote regarding trading liberty for security to be attributed to Ben Franklin, not John Adams: “Those who would give up essential liberty to purchase a little temporary safety deserve neither liberty nor safety.” (An Historical Review of the Constitution and Government of Pennsylvania, 1759). Adams did say, “Liberty, once lost, is lost forever.” (Letter to Abigail, July 17, 1775). Adams also is quoted as saying: “Old minds are like old horses; you must exercise them if you wish to keep them in working order.” (ha ha). 3. I noticed that you did not mention Maude’s race or color, as in … “My friend, a white woman and 1948 high school classmate, Maude Blankinship…” Perhaps you did not consider her race/color to be germane to your discussion on liberty. I agree. In the same way, opening with “My fellow patriot, a citizen of Chicago, Otis McDonald, currently has a suit against the city …” would focus your discussion on liberty, not on race. I look forward to more of your thoughts on liberty.